By 1908 Albert was part of the signals section of the Eketahuna Mounted Rifles. Sometime after 1911, the family moved to Mona Station, Alfredton, where father and son farmed. Albert and his brothers worked as bushmen to clear the land. He was in the Territorial Army, part of C Squadron of the 9th (Wellington and East Coast) Mounted Rifles Regiment. Albert enlisted on 8 February 1916 at Featherston Camp, service number 24856. 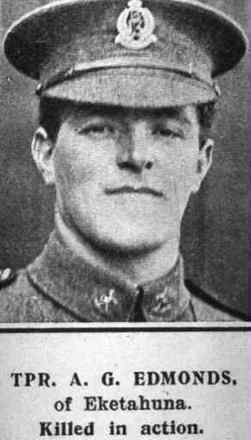 He became a trooper in the Wellington Mounted Rifles which did all its training at Featherston. After five months he left New Zealand with the 14th Reinforcements, arriving in Egypt in August 1916 on the troopship Waihora.